For AuthorsSullivan + Partners offers comprehensive marketing, publicity and consulting services. Whether it’s a full campaign, or one of our tiered offerings, S+P will get you where you want to be. 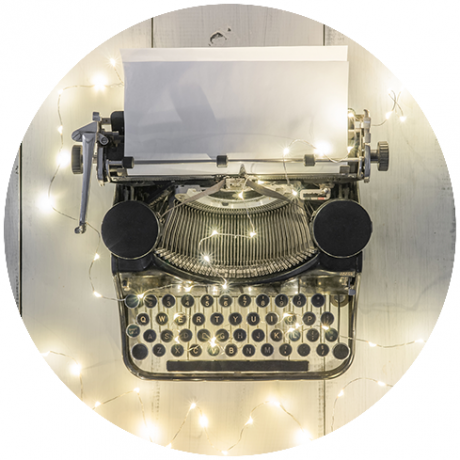 For PublishersSullivan + Partners offers publishers plans to promote their authors, brands and content across social media and traditional media. Our turnkey services include everything from content creation to advertising. For ConsumerSullivan + Partners does not just offer the Interactive Media Tour (IMT)– we invented it. Watch our video and book an IMT today. Want more? Combine the IMT with a SMT and get the best of both worlds. Drawing from years of experience and a legacy of working with New York Times bestselling authors, Sullivan + Partners has developed a cost-effective, comprehensive and proprietary strategy blending social media marketing, publicity and promotion that delivers real results. Our creative, bestselling campaigns allow our clients to effectively engage and retain an established audience, while actively converting new readers. The Sullivan + Partners staff moves in step with the ever-changing media and marketing landscape, and each campaign is customized to achieve the best possible results. Our team possesses relationships with the largest traditional media outlets and maintains a strong relationship with a large and influential network of blogs developed by years of working hand-in-hand with them. More than 75% of the titles Sullivan + Partners have marketed have hit the Top 100 on Amazon’s bestseller list, New York Times bestseller list and/or USA Today bestseller list. Please contact us for a detailed overview of our services and rates. Leaders in book marketing and promotion, Sullivan + Partners maintains a proud legacy of working with bestselling authors and major publishing houses, such as #1 New York Times bestselling author Patricia Cornwell, #1 New York Times bestselling author Sylvia Day, #1 New York Times bestselling author Charlaine Harris, Pulitzer Prize winner Stuart Diamond, Penguin Random House, Simon & Schuster, and #1 bestselling author Richelle Mead, as well as some of today’s newest bestselling stars, like Sabaa Tahir and Katy Evans. Social Media Marketing is at the heart of a Sullivan + Partners campaign. After determining the appropriate direction of the campaign, we create images that will not only complement the author’s branding and upcoming release but also engage their desired audience of current and new readers. Sullivan + Partners utilizes a combination of organic reach, page promoted posts and click-through advertising on Facebook and Instagram to distribute the campaign visuals created by our in-house designer. When posting the campaign-specific images to Facebook, we execute both organic and paid social media marketing and monitor all ads vigorously. All images are shared with our blogger network to post on Facebook, Instagram, Twitter and beyond. Our mix of organic and paid promotion drives pre-orders and sales while acquiring new followers. All social media marketing and advertising services are turnkey and completed in-house, from creative to messaging. Publicity remains a critical element of most campaigns, and Sullivan + Partners maintains valuable relationships with national, regional and local television, radio, print and online media outlets. 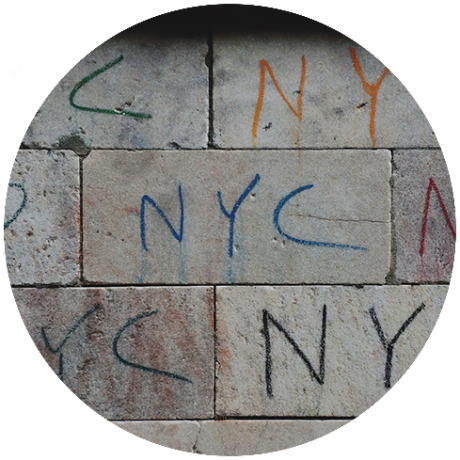 S+P works with hundreds and hundreds of influential blogs and tastemakers. Promotion also plays a vital role. Key incentives to targeted readers help create excitement. ARC giveaways, physical or digital, by the appropriate influencers help generate great word-of-mouth and online coverage. Pre-order campaigns incentivize readers to order titles in advance. Cover reveals, exclusive excerpts and more are included in each custom campaign. Advertising, most often social media advertising, reinforces the story created from all of the earned media and organic reach secured through social media, publicity and promotion. Our campaigns are fiercely monitored—multiple times each day—to ensure that we are maximizing every opportunity and engaging the best possible audience. Sullivan + Partners works directly with publishers to become a vital partner in a book’s publication. Our comprehensive publicity, social media marketing and advertising strategy builds anticipation and generates pre-orders. Our team will assess each author’s social media presence to determine a custom branded solution for that author. We then develop a timeline for content, as well as a media schedule, and design original creative for the author that can be posted and shared. All campaigns are monitored by our staff in real time, enabling us to analyze feedback, adjust messaging, and maximize opportunities continuously throughout the life of a campaign. Please contact us for a detailed overview of our services and rates. Extremely professional and on target! Sullivan + Partners have done four campaigns for me so far, and I hope to continue working with them for many more. Each campaign has been unique and tailored specifically to the book we are promoting. They have a knack for selecting the best language and the most enticing parts of the story, and bringing it to awareness in the most tantalizing way possible! Highly recommended! Gregg Sullivan is a master of the craft. He is that rare combination of brilliant, responsive to your needs, forward-thinking, truly creative and always dedicated. He’s such a joy! Gregg Sullivan is responsible, in large part, for the success of my memoir, Running with Scissors. He was able to get the book into the right hands, at just the right time. When my memoir hit stores, there was a flood of publicity. There was an initial surge in sales and then as word of mouth spread, the book just exploded. I am convinced that without Gregg Sullivan’s intelligent and audacious publicity plan, my book never would have reached its audience and become the 3-million copy seller that it is today. Completely devoted, Gregg Sullivan is a delight to work with. Maximizing every opportunity, he leaves no stone unturned in pursuit of coverage for his clients. Gregg Sullivan is an accomplished and professional publicist. I have had great fun working with him in the past and he really knows his job. Sullivan is solid, imaginative, hard-working and unflappable. He is among the best in the business. After working together on three book launch projects, I can report that Gregg Sullivan is among the best publicists and marketers in the business. He is intelligent, strategic, and aggressive. In any media campaign, dedication to detail is crucial for success and in each case, I could not have been more pleased with his results. He delivers. An industry leader in online video promotion for consumer brands, Sullivan + Partners delivers exclusive online video interviews with top talent and newsmakers to the biggest websites and blogs in the nation with its pioneering Interactive Media Tours (IMT). Watch our video for more details on the IMT! We have strong relationships with People.com, AOL, Huffington Post, PopSugar, Yahoo!, CBSNews.com, Just Jared, SI.com, The Postgame, Perez Hilton and many more. We have produced wildly successful IMTs with Sofia Vergara, Allison Williams, Mario Batali, Kelly Ripa, Jennifer Hudson, Adam Carolla, Molly Sims, Paula Patton, Nick Offerman, Jon Landau, Lea Michele, Owl City, Bobby Hurley, Tim Gunn, Michael Strahan, Kate Upton, Connie Britton, Ciara, Terry Bradshaw and many, many more. We will work with you to craft a media message that will appeal to assignment editors and produce an attention-grabbing media advisory. 6 weeks prior to the tour, we begin pitching the top 50 media markets in the country, only going outside that list at client request or if absolutely necessary to fill the tour. From simple one-camera SMTs to multiple camera SMTs with fully designed sets, we fulfill all needs. We use Nielsen certified figures in our usage reports. If the audience figure for a particular station can’t be independently verified, it doesn’t show up on our reports. Combine your SMT with our cutting edge Interactive Media Tour! 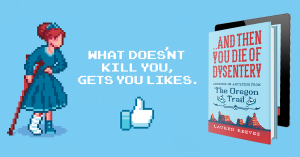 S+P begins work on Lauren Reeves’ book based on the beloved Oregon Trail game, …And Then You Die of Dysentery: Lessons in Adulting from the Oregon Trail! 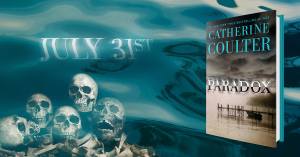 S+P is thrilled to be working with #1 New York Times bestselling author Catherine Coulter and Gallery Books on her upcoming book Paradox, the latest in her FBI Thriller series! 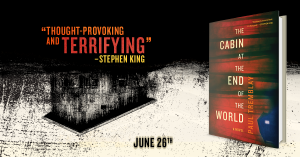 S+P begins work on Paul Tremblay’s upcoming book, The Cabin at the End of the World! 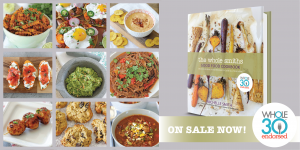 S+P is thrilled to begin work on the first cookbook fully endorsed and supported by Whole30– The Whole Smiths Good Food Cookbook! Sullivan + Partners fulfills all of its clients’ publicity, marketing and advertising needs, from creative development to implementation to project management. Whether for an author, a publisher or a consumer brand, our group tailors each campaign to the specific needs of the project and client. Drawing from years of experience in book marketing and promotion, Sullivan + Partners has developed a comprehensive and proprietary strategy blending social media marketing, advertising, publicity and promotion. Our creative, memorable campaigns allow our clients to effectively engage and retain an established audience, while actively converting new readers. Sullivan + Partners is also an industry leader in digital promotion for consumer brands, and delivers exclusive online video interviews with top talent and newsmakers to the biggest websites and blogs in the nation with its pioneering Internet Media Tours (IMT). Gregg Sullivan founded Sullivan + Partners in 2007, and in the years since he and his team have worked with #1 bestselling and notable authors in fiction and nonfiction, across genres. Gregg and his team have conceived, planned and executed over 75 marketing, advertising and publicity campaigns that have resulted in New York Times and USA Today bestsellers, including multiple #1 New York Times bestsellers. Before launching Sullivan + Partners in 2007, Gregg Sullivan was Director of Marketing and Promotions for the REGAN division of HarperCollins Publishers, reporting to CEO Judith Regan. There, he directed marketing and/or publicity campaigns for New York Times bestsellers Son of a Witch by Gregory Maguire, Somebody’s Gotta Say It by Neil Boortz, The Confession by James McGreevey, The Seventeen Traditions by Ralph Nader, Breaking Back by James Blake, My Secret by Frank Warren and The Zero by National Book Award finalist Jess Walter, among many others. Prior to his post at HarperCollins, Sullivan served as Associate Director of Publicity at St. Martin’s Press. In his tenure at St. Martin’s Press, Gregg executed the publicity campaigns for #1 New York Times bestsellers in each of the major categories —Running with Scissors by Augusten Burroughs (Nonfiction), The Nanny Diaries by Emma McLaughlin and Nicola Kraus (Fiction) and Atkins for Life by Robert Atkins, M.D. (Advice/Misc.). Over the last twelve years, Peter Hoffman has produced over 300 Satellite Media Tours with some of America’s most beloved celebrities including: Kelly Ripa, Brooke Burke, Jane Krakowski, Lea Michele, Bobby Flay, Jennie Garth, Cal Ripken, Mr. T and Jane Seymour. He was instrumental in developing the Interactive Media Tour business and has produced over 100 IMTs in the last 3 years with Ashley Greene, Jessica Szohr, Jackie Collins, Jon Landau, Michael Strahan, Nick Offerman, Kristi Yamaguchi, Tim Gunn, Bobby Hurley, and Stewart Cink, to name a few. Peter has also produced numerous high end live streaming events including projects with Kevin Bacon and Demi Moore for the Pepsi Refresh Campaign, Kelly Ripa for Electrolux and The Ovarian Cancer Research Fund and Jennifer Hudson for Weight Watchers. Caroline Laird joined Sullivan + Partners in April 2012 and has worked on more than 15 bestselling campaigns, including Maya Banks' first #1 New York Times bestseller, Burn. Caroline has worked in fiction genres ranging from romance and YA to women's commercial fiction and with a variety of bestselling authors, including Sylvia Day, Maya Banks, Richelle Mead, Katy Evans and Patti Callahan Henry. In addition to her work with bestselling authors, Caroline has also booked IMTs for talent including Sofia Vergara, Jerry Rice, Ciara, Jenny McCarthy, Allison Williams, Fergie and more. She received a Bachelors of Art in History from Muhlenberg College in Allentown, PA.